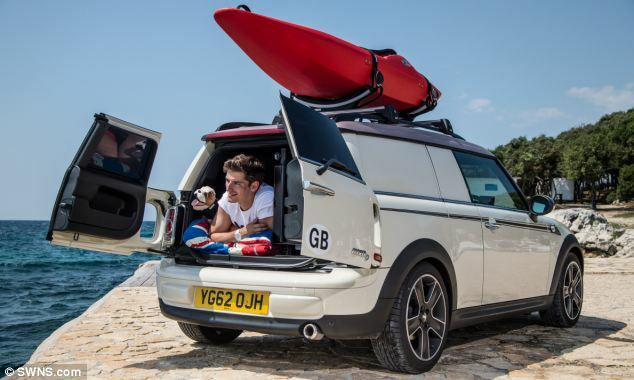 The Countryman ALL4 Camp features a roof-top tent which folds out of a storage box to accomodate two people, and a specially fitted bicycle rack. The Cowley Caravan compact touring attachment offers a comfortable sleeping arrangement, twin-burner gas stove and a water tank complete with pump and sink. A solar-panel charges the on-board battery in order to power the fridge, TV and audio equipment. 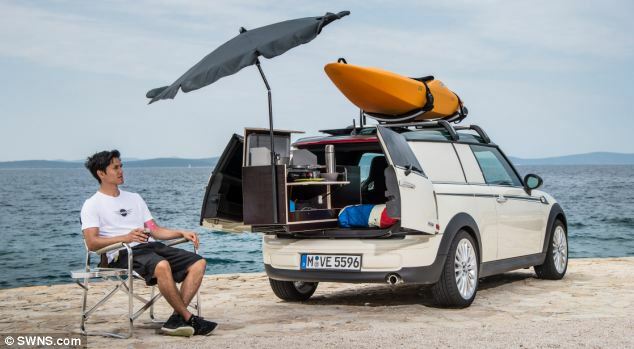 The Mini Clubvan Camper has been designed for a single person going away for the weekend and is based on the company’s van. 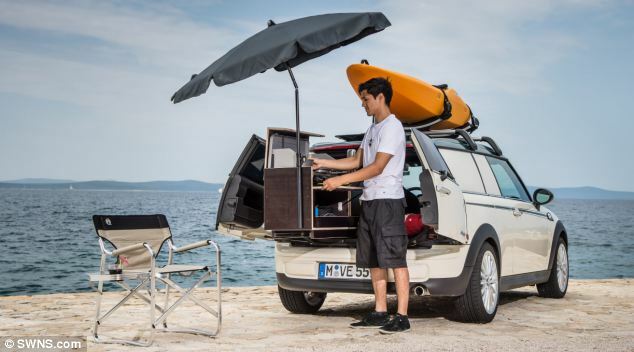 The compact camper van has a sleeping berth for one person and a small extendable kitchenette complete with stove and fridge. There is a TV, an auxiliary heater and a glass roof that can be opened ‘for ventilation or star-gazing’, but the individual does have to sleep next to the car’s steering wheel. Described as a ‘versatile home on wheels,’ the concept model has a handhold shower, which would come in handy in such snug surroundings, but stops short of including a toilet. This entry was posted in Camping and tagged camper, camping, vwt2oc on 06/08/2013 by vwt2ocadmin.